The family planning policy, which bases on the Two-child_policy and based on the one-child policy , is a population planning policy of China. It was introduced from the 1950s "recommendation", and evolved to the one-child policy introduced between 1978 and 1980 and began to be formally phased out in 2015. The policy allowed many exceptions and ethnic minorities were exempt. In 2007, 36% of China's population was subject to a strict one-child restriction, with an additional 53% being allowed to have a second child if the first child was a girl. Provincial governments imposed fines for violations, and the local and national governments created commissions to raise awareness and carry out registration and inspection work. According to the Chinese government, 400 million births were prevented, this claim has been called "bogus", "three-quarters of the decline in fertility since 1970 occurred before the launching of the one-child policy; and most of the further decline in fertility since 1980 can be attributed to economic development"  Thailand, Iran, Indian states of Kerala, Tamil Nadu have had similar declines of fertility without one child policy. Although 76% of Chinese supported the policy in 2008, it is controversial outside of China. 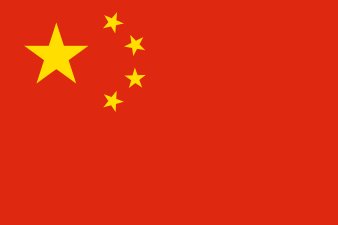 On 29 October 2015, it was reported that the existing law would be changed to a two-child policy, citing a statement from the Communist Party of China. The new law became effective from 1 January 2016, following its passage in the standing committee of the National People's Congress on 27 December 2015.